Evolution Financial Group is an integrated suite of financial businesses, spanning hundreds of employees across our global offices. Our diversified capital markets specialties include: debt and equity finance, debt servicing, private equity and venture capital investments, securities research, and brokerage. While we have many and diverse business lines, each one integrates into the whole to serve a purpose towards our general mission. Evolution often acts as both financial sponsor and general partner in our business lines. We find this strongly aligns our interests with those of our clients, affiliates, and co-investors. Evolution was founded in 2002 by Michael Lerch as an alternative investment manager. The firm has been built on a foundation of flexibility and scalability, allowing us to continually adapt to changing market conditions through new investment businesses, strategies, and products. 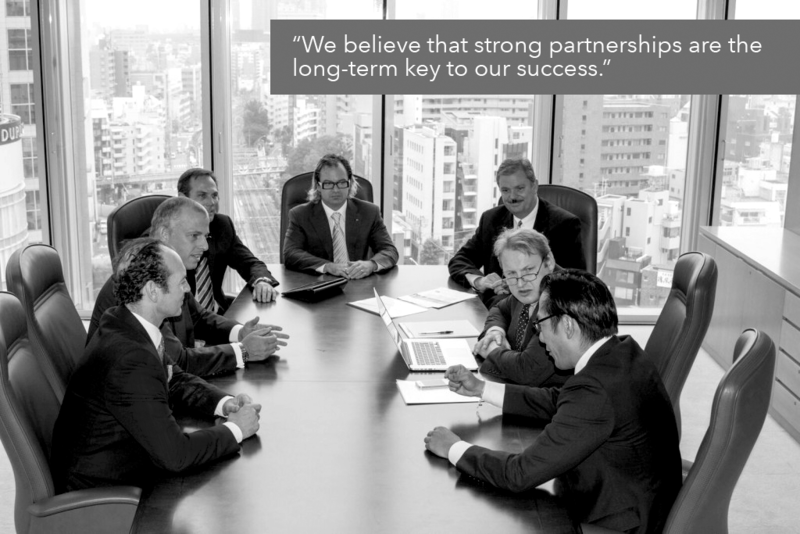 At Evolution, we believe that strong partnerships are the long-term key to our success. We invest in our counterparties and they in turn invest in us, and in doing so we discover new opportunitie that is uniques and advise each other to bring about optimal mutual outcomes. This fosters a dynamic interaction between Evolution and its counterparties. Technology, infrastructure, and staff expertise allow Evolution to participate in transactions that involve some of the world’s largest and most reputable corporations, banks, and investment firms. Evolution’s global leadership is comprised of experienced professionals from many of the world’s leading banking and trading firms. We believe that the depth and breadth of our intellectual capital and the rich experience of our professional teams have been the key drivers of the group’s ability to generate positive returns and to create strong, lasting business relationships with our partners. Our international presence, especially in Japan, includes boutique investment banking and brokerage services that provide a source of proprietary credit- and equity-based deal-flow throughout the region. We have over a hundred employees in the country who work for multiple Japan-based companies of the group. Evolution also plays an active role in the Japanese business and cultural communities through our sponsorship of events and social impact programs. Evolution’s scaled and diversified businesses, coupled with our strong industry relationships, positively position us for continued strong performance in a variety of market conditions. Copyright © 2017 Evo Infrastructure Solutions, Inc.